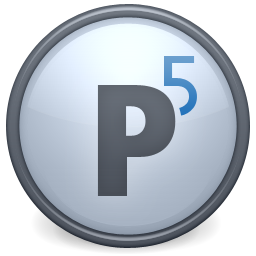 Archiware P5 is a software suite including four freely combinable modules: P5 Synchronize for data cloning and transfer, P5 Backup for server backup, P5 Backup2Go for endpoint backup and P5 Archive for data migration to long-term Archive. Work for Archiware P5 Backup? Learning about Archiware P5 Backup? "The best ever, multitask, to hdd or tape, web browser interface, perfect log reports, user friendly!" The professional toolset, you can work basically in two levels, on a basic level with quick backups or you can program backups using powerful libraries. You can execute multiple taks simultaneously, interrupt any, that's is the real world and is extremely useful on real conditions, and a partial backup can be restored. Always customers like to have a version on his local language, in my case in Spanish will be great, and other point always is the price, more and more cheap, but on the other hand quality has a price, a luxury car never is cheap. Is not the most cheap, download the trial version, test it and compare to see if cover your needs. Just common sense. For me the most important is if cover the needs and the software stability and compatibility with the hardware environment, and of course with the Operating Systems involved. Is a great tool to program backup tasks and to have an excelent log to see what happened at any time. Is a real professional tool that you and your business partners can trust. Is relaiable, after years working and installing it, is a software that works sweet and with each new version add new features looking at customer needs. Great job! * We monitor all Archiware P5 Backup reviews to prevent fraudulent reviews and keep review quality high. We do not post reviews by company employees or direct competitors. Validated reviews require the user to submit a screenshot of the product containing their user ID, in order to verify a user is an actual user of the product. Hi there! Are you looking to implement a solution like Archiware P5 Backup?